All lectures are approx. 1 hr. NEW in 2017: "Designing Fabrics, Designing Quilts" This talk is the story of how I ended up designing fabric collections for Paintbrush Studio. 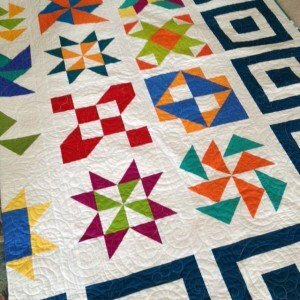 I'll share how I go about designing a collection and show a variety of quilts and other projects made with fabrics from each of my collections. Coming in 2018: "The Random Block Sampler" (Available for booking after Dec 2017) A trunk show of sampler quilts made with blocks of many sizes. Popular in the late 1800s, the random size block quilt has it's own set of challenges. 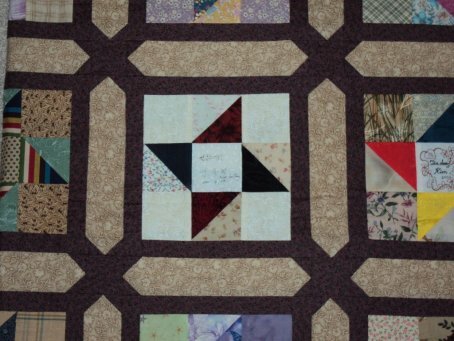 See examples and learn how you can convert your own block collection into a stunning quilt. with JUST SOLIDS. See contemporary and traditional examples as well as international textiles and hear stories about my love affair with solids. "The Quilted Basket, An American Classic" When a friend pointed out that I must love basket quilts because I make so many of them I decided to pull them together into their own quilt presentation. Includes examples of sewing baskets and trivia about baskets along with a variety of basket blocks stitched into wallhangings and bed quilts. 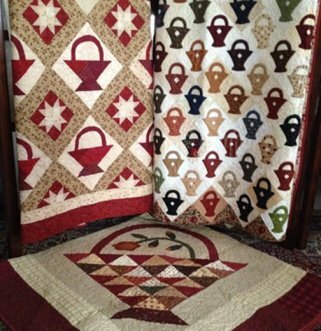 “Big Block, Small Block” A trunk show of sets of quilts arranged by pattern. Study how the personality of the pattern changes based on the size of the block. These are all bedsized quilts – no minis! 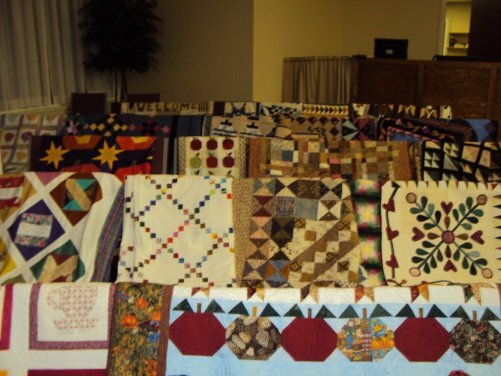 This talk is light hearted with lots of quilts and fun stories. Photo coming soon. 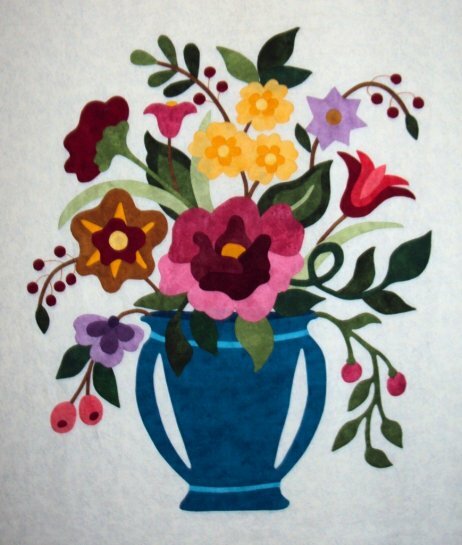 “A is for Applique” A trunk show of appliqué quilts and tops. Styles include Brodiere Perse, Hawaiian appliqué, and traditional designs. See over 40 examples of hand and machine work and find out how I gave up all other appliqué techniques for back basting appliqué – the topic of my book, Back Basting Applique’, Step by Step. “When This You See Remember Me” Over a 24 year period I lived in many locations and made new quilting friends with each military move. I often participated in friendship exchanges resulting in this collection of friendship quilts. 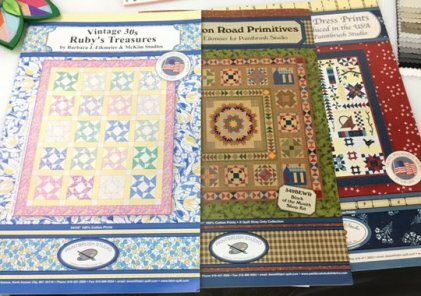 Features examples and stories of Round Robins, Row and block swaps, Puzzle quilt exchanges, and miniature quilt trades with over 100 tiny minis! “It’s All in the Sashings!” Do you have a set of blocks that you just can’t decide what to do with? 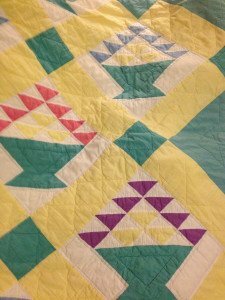 Join me as I share a series of quilts and tops that feature blocks set with sashings and cornerstones. Some are simple and others are more involved with secondary designs created within the sashings and cornerstones. See side by side examples of the same setting and study how different they look based on the blocks and fabric choices. 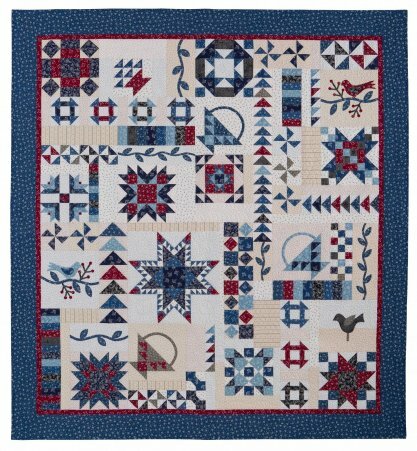 Features approximately 25 quilts and tops in a mix of styles including appliqué and pieced quilts. It's All in the Sashings is my most requested lecture and is now a Craftsy Class! “Something Blue” Inspired by the rhyme about a bride and her wedding day – “something old, something new, something borrowed, something blue”, is a study in the color blue. 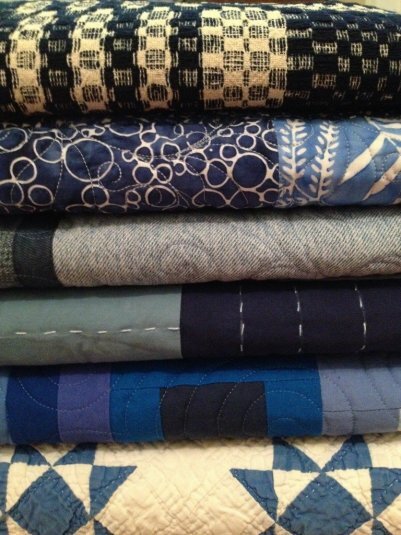 See old quilts, new quilts and borrowed quilts – all blue! Enjoy trivia about the color blue sprinkled throughout. Lighthearted and fun.